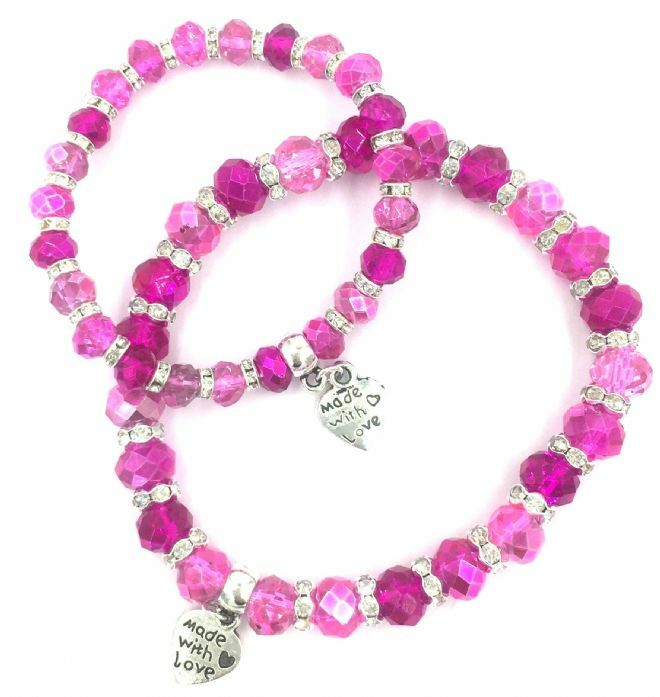 Our pink candy floss collection are made using carnival glass crystals and silver plated crystal spacers. 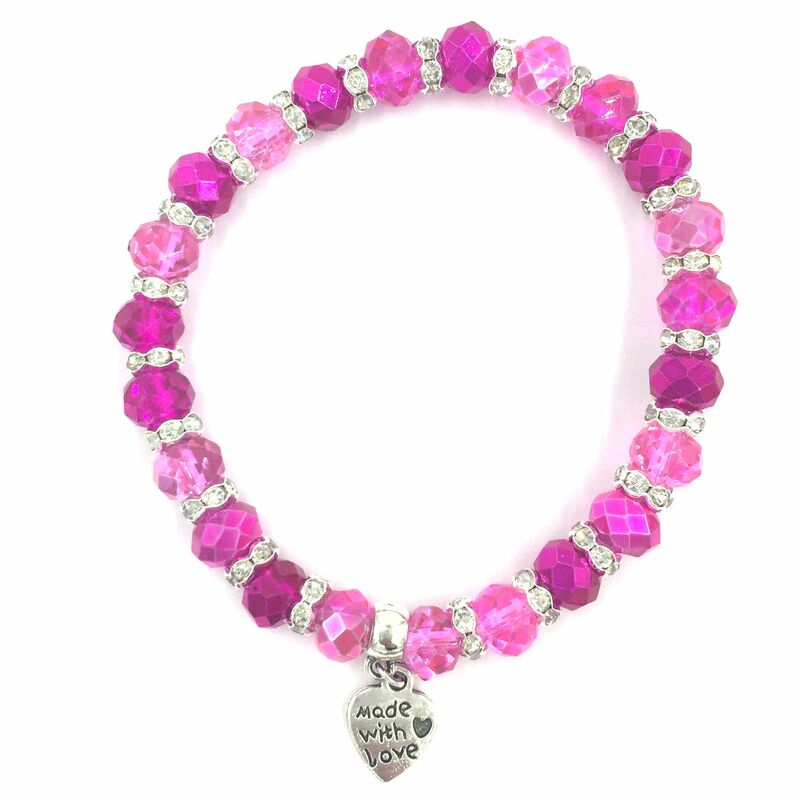 Each bracelet is made stringing beads and spacers onto elastic - suitable for all ages. 28 x 6mm silver plated charm carriers. String beads on elastic as per images above then tie in a reef knot three times.